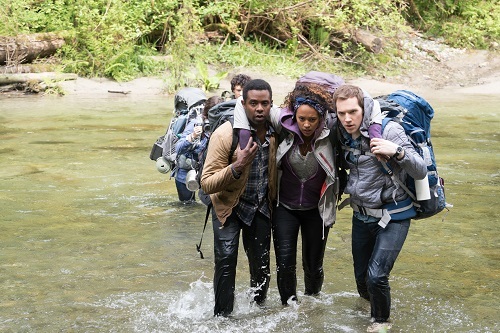 Synopsis: After discovering a video showing what he believes to be his sister’s experiences in the demonic woods of the Blair Witch, James and a group of friends head to the forest in search of his lost sibling. There can be little doubt that The Blair Witch Project has been one of the most legendary and influential movies of the modern era. The 1999 no-budget classic practically jump-started the “found footage” trend of filmmaking (whether it gets credit or blame is up to you, dear reader). A year later a sequel was made – Book of Shadows: Blair Witch 2 – which confounded and alienated most audiences. Now, more than fifteen years later, the direct sequel for which fans have been clamoring is here, simply entitled Blair Witch. Picking up twenty years after the events of The Blair Witch Project, Blair Witch is about a guy named James (James Allen McCune from “The Walking Dead”) who, being the brother of missing filmmaker Heather Donahue, has become obsessed with finding some closure for the case. He stumbles across a YouTube video that was supposedly found in the Black Hills near where his sister disappeared that he believes has her image on it. He enlists the help of his film student pal Lisa (La La Land‘s Callie Hernandez) and, along with their friends Peter (Brando Scott from “Grey’s Anatomy”) and Ashley (Corbin Reid from “How to Get Away with Murder”), they set out to meet the poster of the video, a creepy guy named Lane (The Genesis Code‘s Wes Robinson). Lane promises to show the group where he found the tape – if he and his girlfriend, Talia (Valorie Curry from “The Following”), can come along. James and Lisa reluctantly agree, and the whole group ventures into the woods. Soon enough, it becomes clear that the six of them are not the only beings in the supposedly haunted forest. 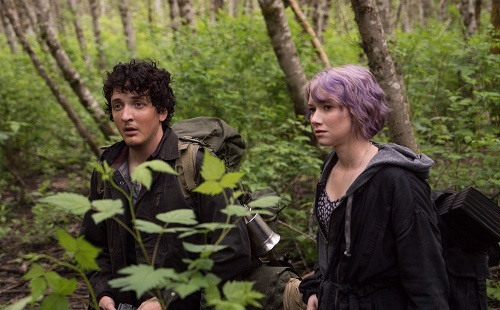 Like 10 Cloverfield Lane earlier this year, Blair Witch was made practically in secret. The writing/directing team of Simon Barrett and Adam Wingard (the guys who made You’re Next and The Guest) went into production on the film under the working title The Woods; it was only at this year’s San Diego Comic-Con that it was officially revealed to be a Blair Witch movie. For better or worse, Blair Witch basically ignores the existence of Book of Shadows: Blair Witch 2, but it does stick to the same franchise mythology – the history is even explained in a bit of heavy handed exposition that, while necessary to the lay-viewers, will be redundant to ordained fans of The Blair Witch Project. Blair Witch has very much the same spirit and vibe as The Blair Witch Project. 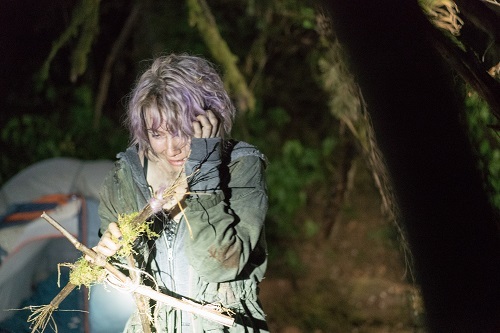 In fact, if it had never revealed itself as a Blair Witch movie and had been released as The Woods, it would be accused of being a blatant rip-off. Unlike the original, which is a rather mediocre movie unless you have the added knowledge of the false mythology, there is no subterfuge, no serious claim that Blair Witch is real. It’s more scripted than the original, which lets it do a lot more narratively, so there’s much more of a stable plotline. There are also a handful of sweet visual effects that hint towards the film’s bigger budget. But, The Blair Witch Project fans will be happy to know that it’s still got the same stomach-churning camera work, and it’s still got the same ear-piercing screams. This time, however, the audience kind of knows what the characters are screaming about. 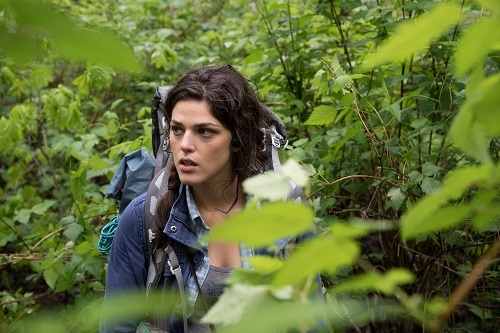 Blair Witch requires a little bit of patience in the beginning. It takes longer than normal to get rolling, but once it’s rolling, there’s no stopping it. It’s one horrifying twist after another, and even if you figure out where it’s going, you’ll still want to finish the ride just so that you can see it happen with your own eyes. Just like The Blair Witch Project, Blair Witch is a found footage film, right down to the opening title card of the movie that explains that fact. As such, the photography is purposely rough. However, there are several different cameras in play, from handheld camcorders to personal earpiece cams, and even a drone-mounted GoPro, so there’s more variation in the quality. Wingard and Barrett used cinematographer Robby Baumgartner, who worked with them on The Guest, to shoot the film, so even though the cameras are consumer models, the photography is much slicker than the actor-shot footage in The Blair Witch Project. Still, there’s plenty of frantic, nausea-inducing shaky-cam footage, because it is, above all, a Blair Witch movie. Anyone who was made sick by the first film will probably be made sick by the sequel, too. To borrow a phrase from the original The Blair Witch Project promotional posters, Blair Witch is scary as hell. Like any horror film that takes place in the woods at night, the key to the fear is what the characters don’t see – the unknown that lurks in the shadows and behind the trees. Since everything is from the point of view of the lost kids, the audience is at the mercy of where they are looking and shining their flashlights. The unseen areas of the forest give the audience an almost unbearable feeling of suspense and anxiety. Of course, a good half or so of the jump scares are red herring false scares, but that doesn’t make them any less scary; the not knowing which are going to be real and which are going to be fake just causes more tension. Blair Witch is scarier than the original The Blair Witch Project. There’s no false pretense that it’s real, but that opens it up for Wingard and Barrett to toss reality aside and get really frightening. And they do.